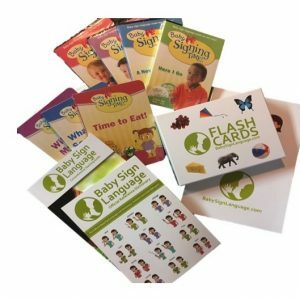 The Premium Baby Sign Language Kit, bundles together a variety of signing resources at a steep discount. The kit includes: (1) Baby Signing Time! 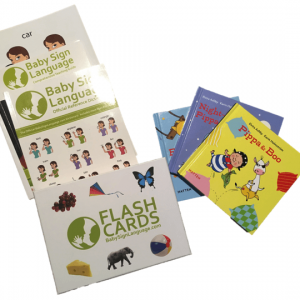 DVDs; (2) Baby Sign Language Guide Book; (3) Baby Sign Language Dictionary: (4) Baby Sign Language Flash Cards; and (5) Baby Sign Language Wall Chart. 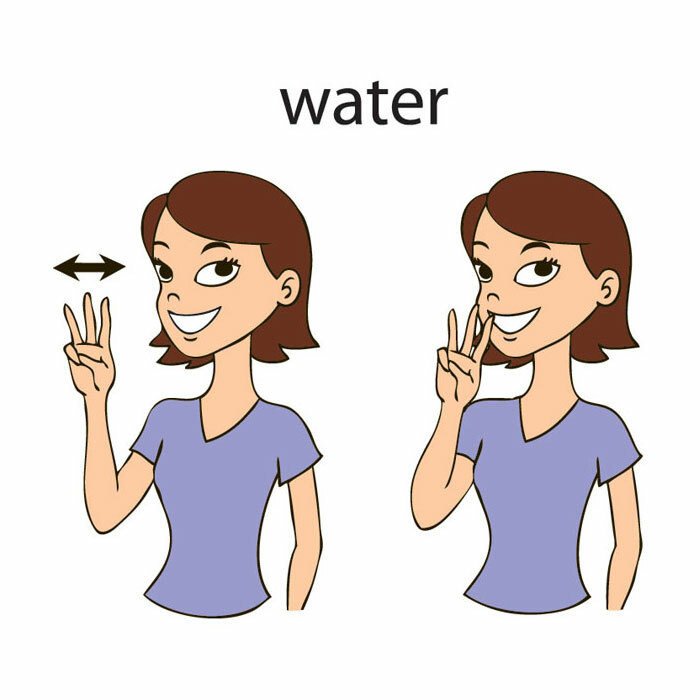 Basic Food Signs – eat, drink, water, milk, cereal, banana, more, & finished. Family Members – mom, dad, grandma, & grandpa. Animals – dog, cat, bird, fish, frog, & horse. 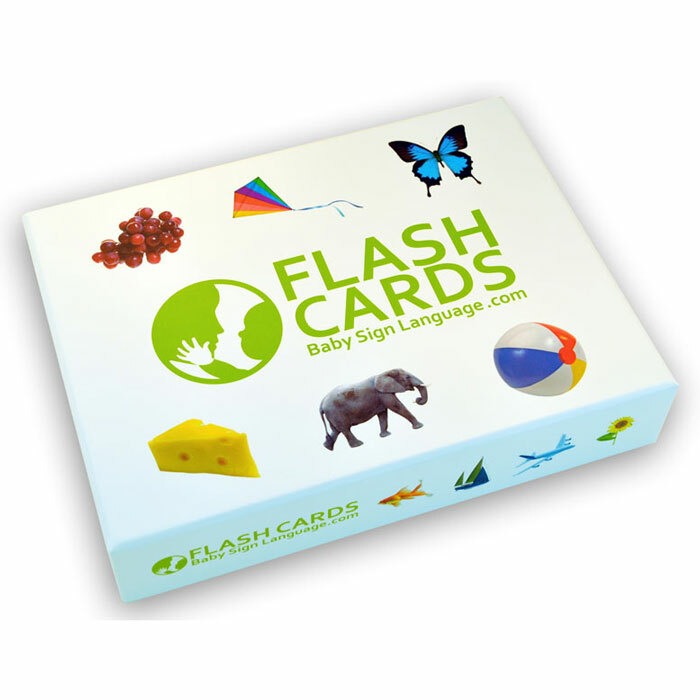 The flash cards allow you to greatly expand your signing vocabulary, including people, animal names, foods, and everyday objects. 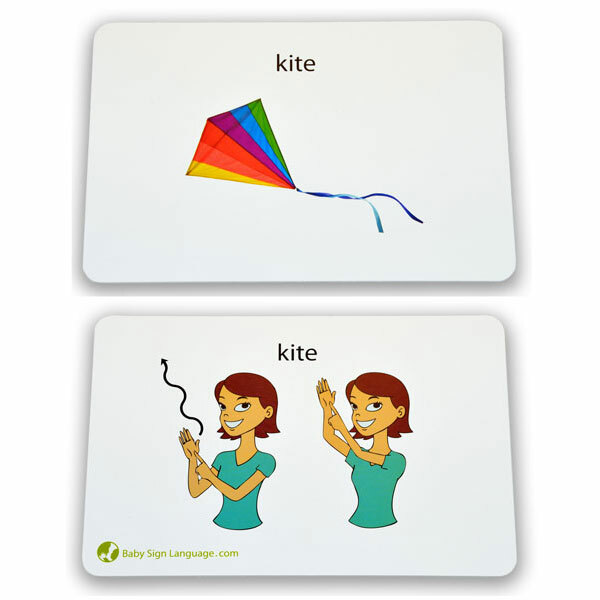 The front of each flash card shows the word and image for the child. 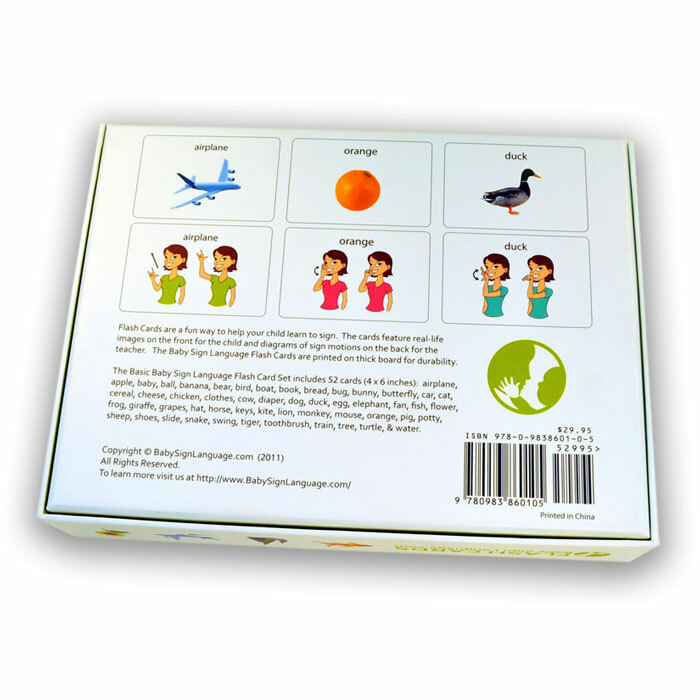 The back of each card shows how the sign is performed, a handy reminder for the adult. Each sign is illustrated with two or more diagrams depicting the starting position, ending position, and intermediate motion. 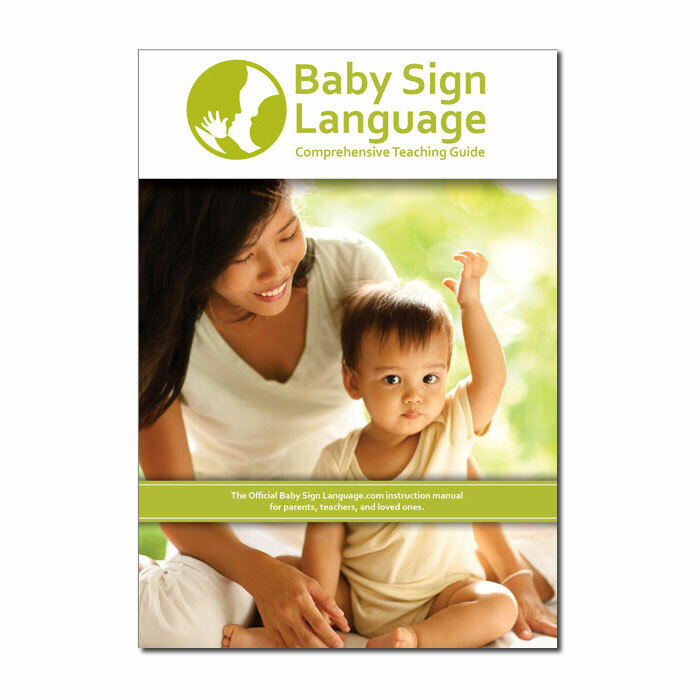 This makes learning signs easy and intuitive. Letters (A-Z) – sign the alphabet and teach basic spelling. 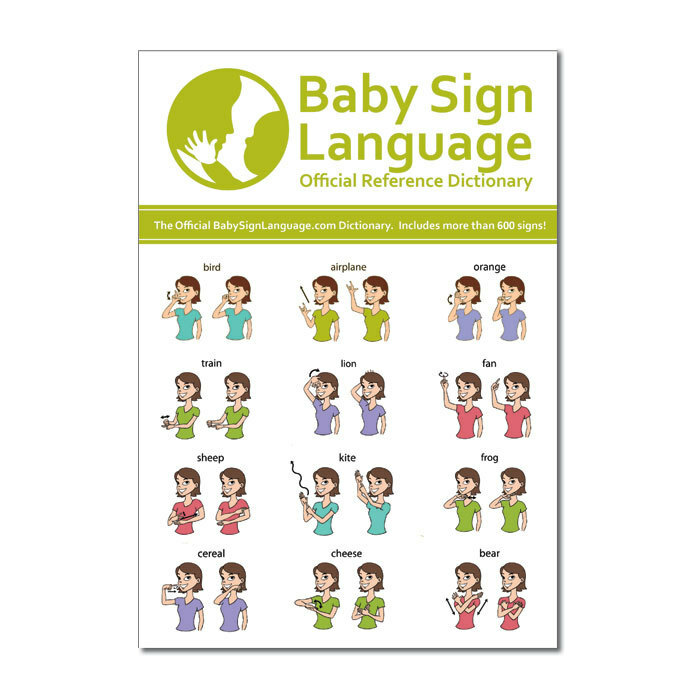 The Baby Sign Language wall chart colorfully displays 17 beginner signs. 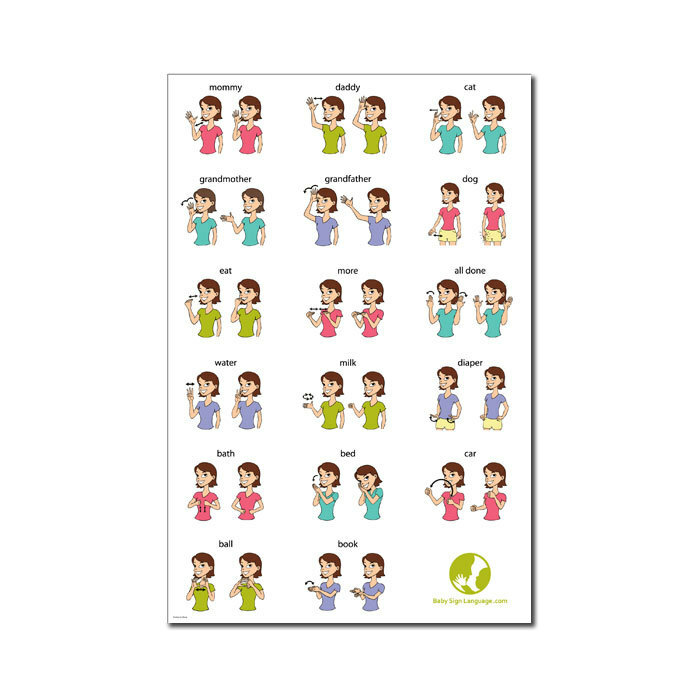 Place the wall chart on a door, the side of the fridge, or in the nursery to give caregivers, older siblings, and spouses an easy way to learn the basic signs. 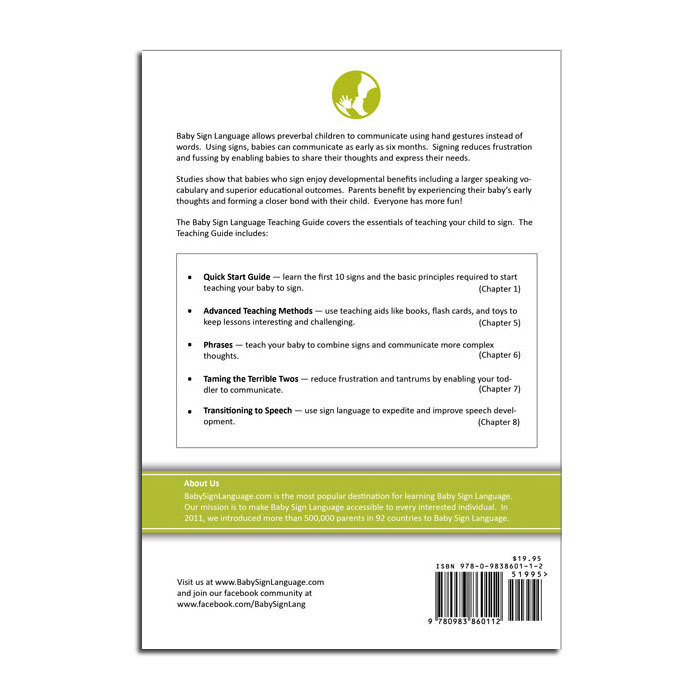 The signs listed include: mommy, daddy, grandmother, grandfather, dog, cat, eat, more, all done, water, milk, diaper, bath, bed, car, ball, and book. Each sign is illustrated with two diagrams showing the starting position, intermediate action, and finishing position. 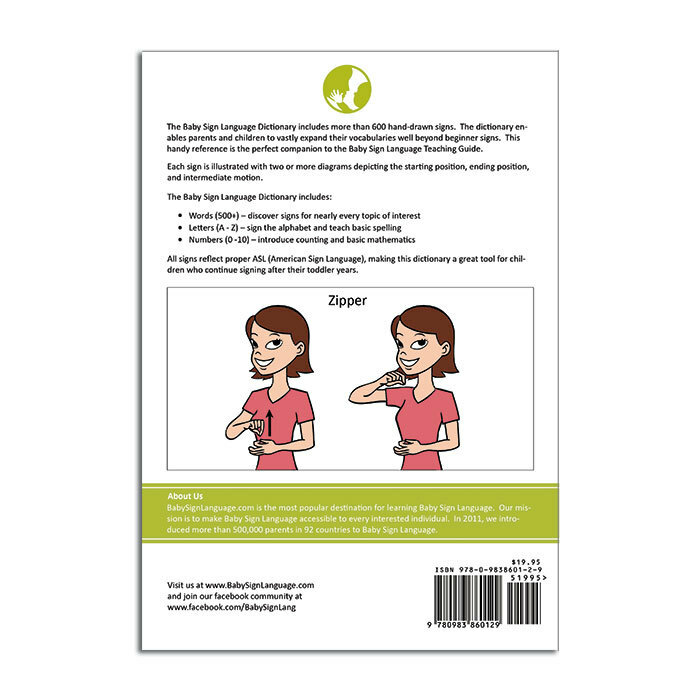 All signs use American Sign Language. 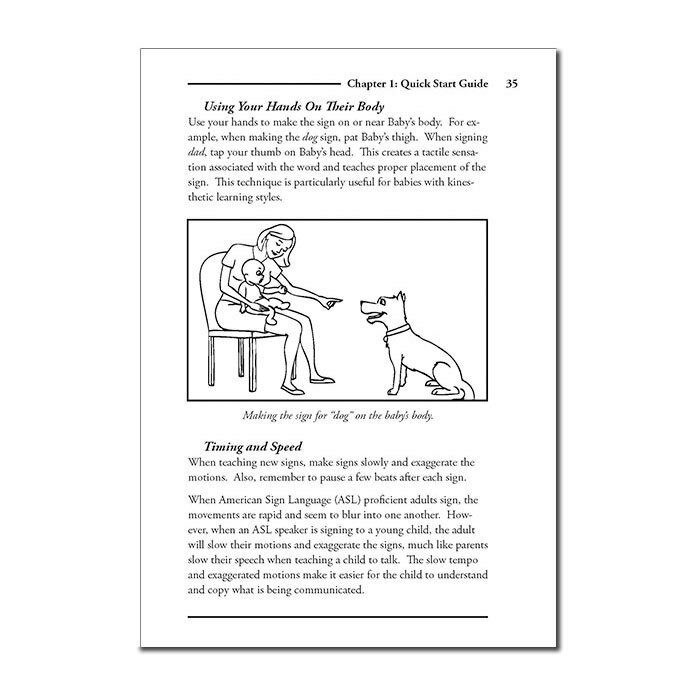 Our experience with BSL has been on of the best journeys we have taken with our son. We ordered the Premium Kit and mainly used the DVDs, dictionary (for signs not covered in DVD) and poster. Our son is at a point where he is making simple signing sentences. He absolutely loves watching the DVDs and sings a-long to the intro song. Since 15 months old, we have noticed that his ability to pick up and correctly use the signs has been amazing. We started signing with him with the kit prior to buy the kit around 3 months old (via YouTube) but only bought the kit when he was 4 months old! I would highly recommend getting the kit but that only is not sufficient-consistent use through the day is really what progresses you swiftly! Having a biracial child, I especially love the fact that the DVDs are racially inclusive. Thank you BSL Team! LOVE IT! I highly recommend the premium kit. The wall chart is huge and durable. We hung it on our bedroom door as a quick reference guide. The dictionary is great reference when we want to quickly pick out a few new signs to focus on. It’s clear and simple. The flash cards are very sturdy. My daughter plays with them often and we use them to practice signs and also our language skills. The videos are catchy and engaging. My now 20 month old(who was 3 months premature) will even watch it with me as we practice. Baby Signing Time has been wonderful! My daughter knows several signs now and it’s so nice to be able to have her communicate with me. We rarely have temper tantrums(and usually the only time she does have one is when she is signing to go outside and we don’t). Everyone in our house plus grandma and grandpa are signing!